Photo. www.navsource.org by Joe Radigan MACM US NAVY Ret. Laid down, 19 March 1919, at Puget Sound Navy Yard, Bremerton, WA. Commissioned USS Nitro (AE-2), 1 April 1921, CDR. R. W. Vincent in command. Final Disposition, sold for scrapping, 19 September 1949, to Welding Shipyards, Inc., New York. USS Nitro received one battle star for World War II service. With Norfolk her home port at the beginning of World War II, the veteran ammunition ship carried ammunition to the Caribbean bases and to Recife, Brazil, base for the South Atlantic patrols. 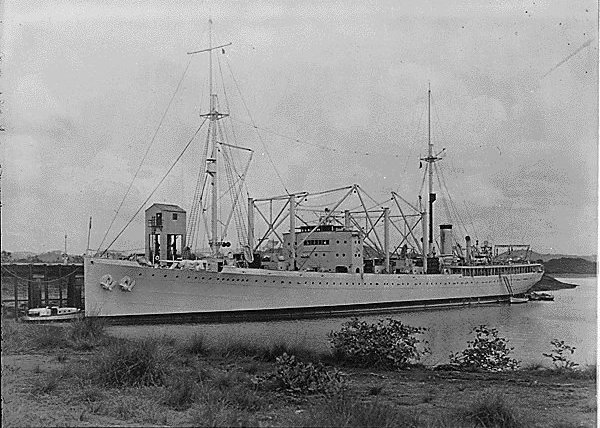 USS Nitro (AE-2) made at least 3 or 4 trips to Recife, Brazil, stopping at Guantanamo Bay, Cuba or Puerto Rico. She would take a load of ammunition and supplies to Recife for South Atlantic patrols and later the planes would fly it to the Ascension Island half way across to Casablanca for troops fighting in Northern Africa, Egypt and Algeria. On the return trips, she eventually was loaded up with coffee and raw sugar for Baltimore, stopping at Venezuela, Trinidad, Puerto Rico or Cuba. 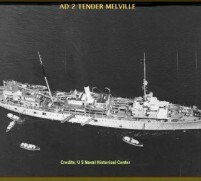 From Baltimore back to Norfolk, Va. and load up again with ammo.She sailed 20 April 1944 for Belfast, Northern Ireland, with ammunition for the invasion of Europe.